The season's best greens and reds are featured in a classic combination of winter greens. 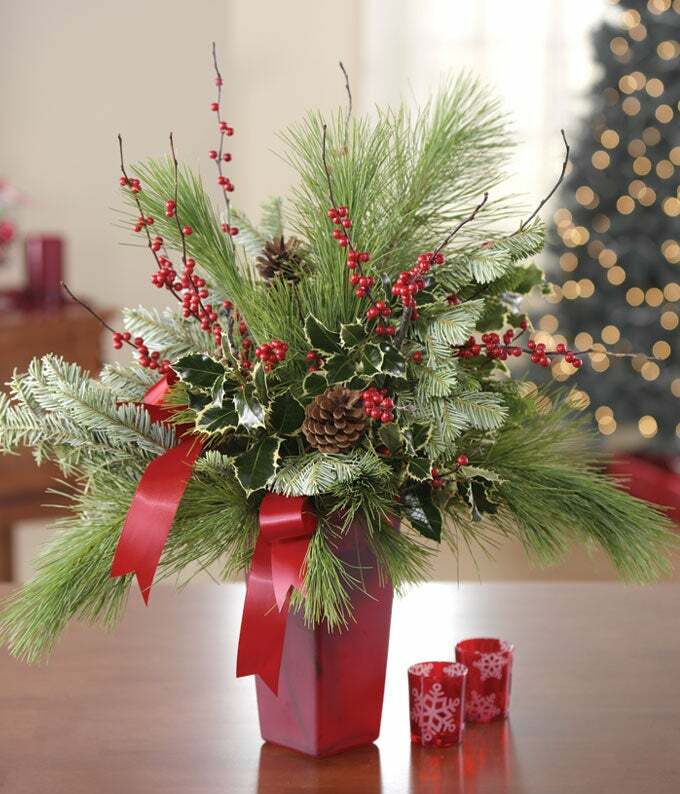 An elegant assortment of pine, holly and berry branches, and pine cones is arranged in a tapered square red vase accented with a satin ribbon. The perfect Christmas floral gift to send. Arrangement measures approximately 25"H x 22"W x 19"D.